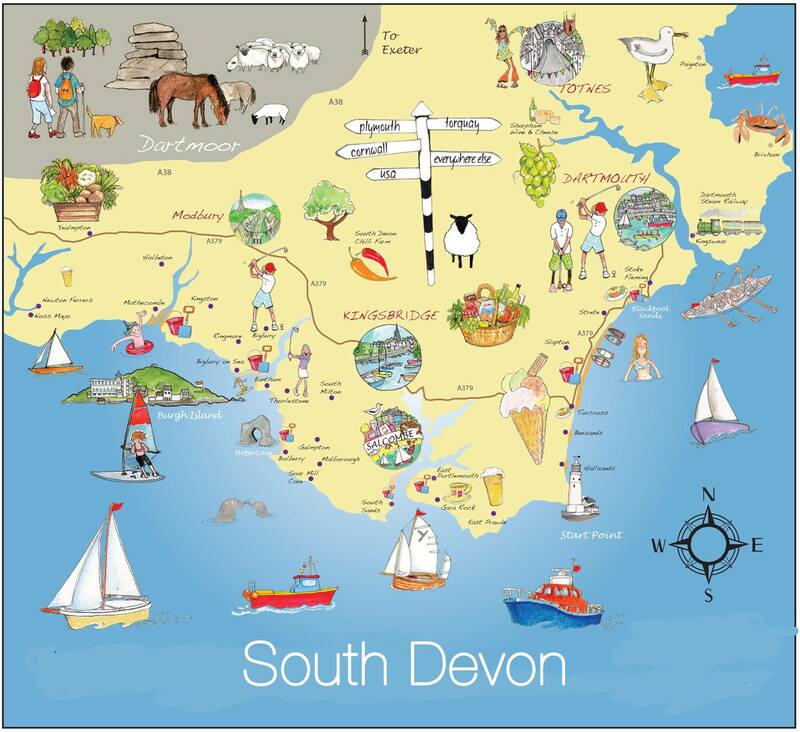 The village of Slapton is between Dartmouth and Salcombe and is in a South Devon Area of Outstanding Natural Beauty. The house is in the conservation zone in the heart of the village yet not overlooked and very private. "The house is set in a gorgeous village with two decent pubs"
Slapton is above the ice-cream cone and by the mermaid! We have this fabulous picture from Kate West Art in the house.